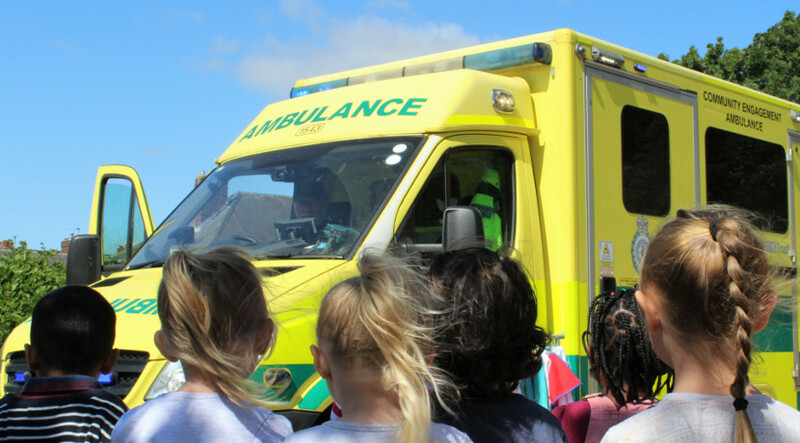 Yorkshire Ambulance Service visited us on Monday, bringing along an ambulance. Parked up in our carpark, nursery and year 2 went out to investigate. We started with a look inside this special vehicle. 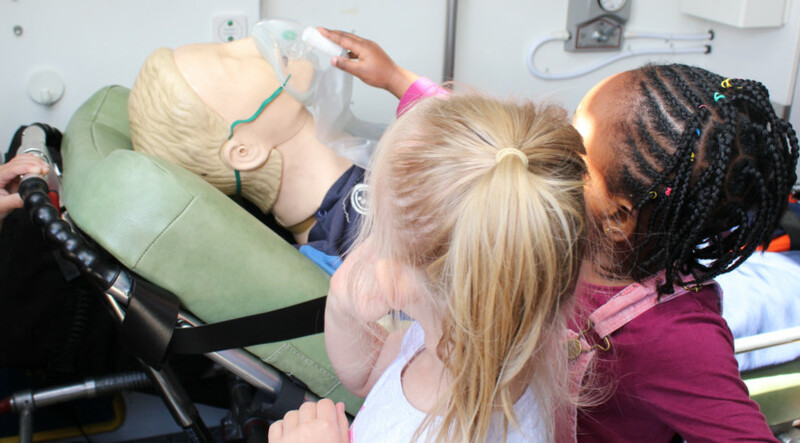 There was lots of different equipment to look at, even a full size manikin which is used to teach paramedics. 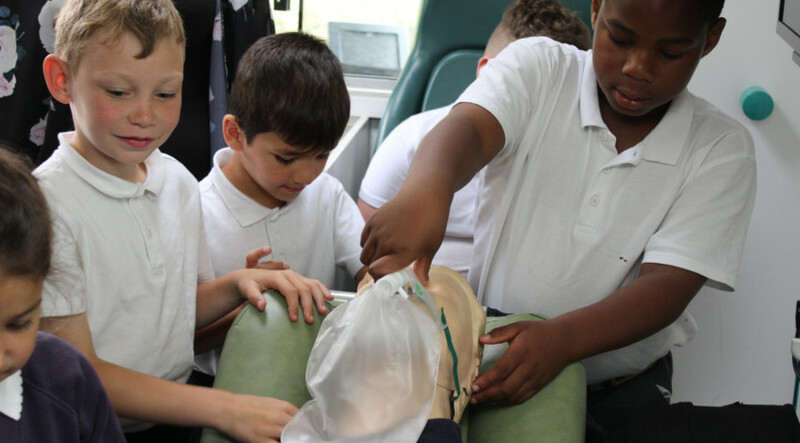 It was great to get a look around and find out how the ambulance is used to save lives, without any of the usual injuries that are needed to get a ride. Back outside, we got to see and hear the flashing lights and sirens. A massive thank you to Yorkshire Ambulance Service.